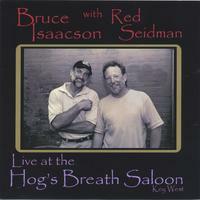 please go to bruceandred.com thanks!!! There is no strings player better than Red Seidman. He has coupled with Bruce Isaacson and their music is the best in my opinion. hi!! music was great!! that's why i bought it. the only problem with this recording is you didn't record it on a night where there were a ton of people there screaming and cheering and clapping like it was when i saw bruce and red. after each song, you heard no electricity from this crowd. it made it dull. if you recorded on the night i was there, it would have been magical. we were just in awe at their preformance and the crowd responded!! this crowd on the cd was dull. that's what i meant. love the boys though!! they are awesome! !